The new TEEwine shelves offer you a very simple equipment to keep the bottles of wine you like the most within easy reach. 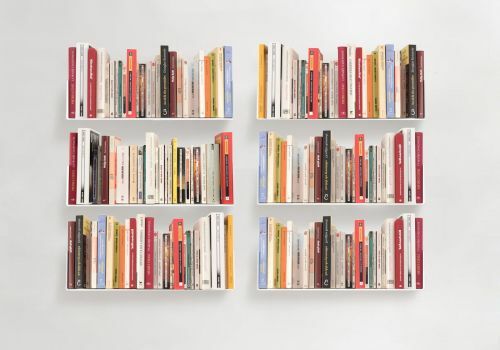 These wall shelves can hold three bottles. At the base of the shelf, the bottom of the bottle positions itself around a little hump which prevents any fall, and the top of the shelf offers a safety aspect around the neck of the bottle and thus safeguards against any toppling over. The bottles will thus be within easy reach without the risk of falling. Cellar master, an ideal presentation! The Teewine shelves are strong and perfectly suit professionals. 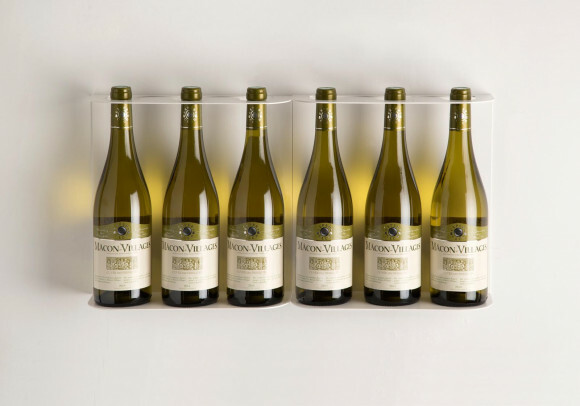 The shelves are discreet and secure, they allow to show off the wines of the week or the month or to display the whole range of available wines. 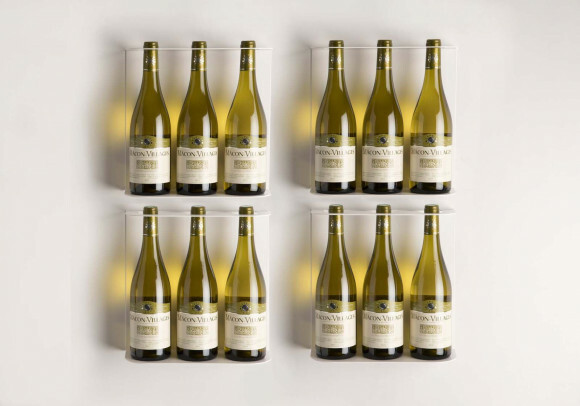 Thanks to these wall shelves, it will be possible from now on to save considerable space and to see at a glance the variety of available wines. In a restaurant for instance, the wine list is often an impersonal object and unless you come across a wine-maker you know, it is difficult to make a choice. Yet, when we are at a cellar master’s or in a supermarket, it is usual for us to mainly rely on the labels or the back labels as the case may be. So why not display the available bottles in full view of the clients? This would leave the choice to the guests who would then follow the sommelier or restaurant owner’s advice. All in all, a new more meaningful and innovating wine list. Wall wine rack There are 2 products.